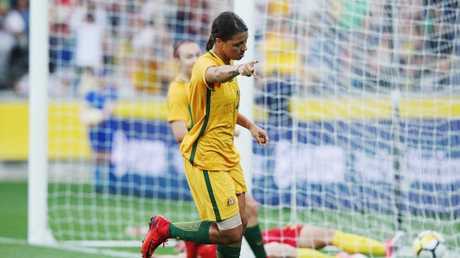 MATILDAS star Sam Kerr has not been included in the FIFPro Women's World XI that was released on Thursday to coincide with International Women's Day. 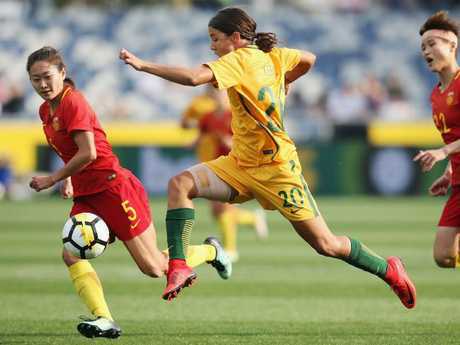 Kerr and fellow Aussie Alanna Kennedy were named in the initial 55-player list in contention for selection but failed to make the final side. Her omission comes as somewhat of a shock, considering the striker has scored nine goals in her last eight matches at international level. 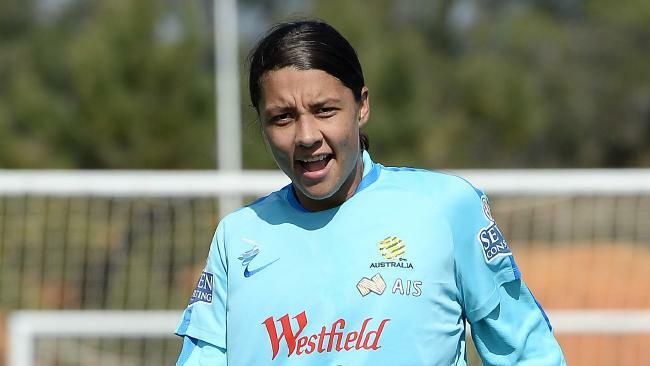 Teammate Lisa De Vanna took to Twitter to voice her astonishment at her strike partner's snubbing, tweeting "BREAKING NEWS IS... how many records does Sam Kerr have to break for club and country to get the recognition she deserves!!??" US national soccer team striker Alex Morgan and Brazil forward Marta were among the players chosen. Goalkeeper Hedvig Lindahl of Sweden was joined by defenders Nilla Fischer of Sweden, Lucy Bronze of England, Irene Paredes of Spain and Wendie Renard of France. Midfielder Dzsenifer Maroszan of Germany, Camille Abily of France, Pernille Harder of Denmark and Lieke Martens of the Netherlands round out the 11. "It's always exciting to be considered as one of the top players in the world. For women's football to have our own World XI is incredible," Morgan said in a statement. "It helps promote the women's game. It helps female footballers recognize the talent among their peers and I'm really happy to encourage and be a part of that." More than 4100 female first-division players in 45 countries voted for team, based on 2017 play for clubs and national teams. It is the third year that FIFPro, the global group of players' unions, has compiled a women's team. The award was special to Abily, who retired from France's national team last year. "After I stopped with France last year after the European Championship I thought I would go on for one or two more years with Olympique Lyonnais. But I think at the end of this season I'm done. I could still change my mind but I don't think so," she said. "I decided this about a month ago." Marta, who had long said she planned to retire at 30, is now hoping that at 32 she can help Brazil qualify for next year's World Cup in France. Marta also plays with Morgan on the Orlando Pride of the National Women's Soccer League. "Women's football is becoming more competitive so it's harder to stay at the top," she said. "You have to have a lot of perseverance to stay consistent. I have that in my character: fighting spirit."